Do you want to know how to get your prayers answered & see miracles in your life? Then check out my books, "Let Them Pray" with all the prayers of the Bible and God's answers to those prayers. And "All the Promises are Yes in Christ Jesus"! Every promise in the Bible with the conditions in Chronological & Topical order. It includes blessings, Covenants, miracles, prayers using the promises, the names of God, as well as personal answers to prayer. Now in new 6x9 size to match All the Promises. You can order them on this site by clicking here or on my other website at: http://morningloribooks.com. What is the Crimson Worm? There is a worm hidden in the Scriptures so deep that you can only find it by looking up the Greek and Hebrew meaning for "worm", "scarlet", or "crimson". I was thinking about the verse in the Bible one day that says "the worm dieth not" and was wondering if there was more to this verse than met the eye. Many times I look words up in the Greek or Hebrew to see if I can get a greater understanding for the verse. Well, I was surprised to find out that the word "worm" has two different meanings in the Bible. One is about the worms we see every day, and the other is the Crimsom Worm. I had never heard about this before and I have been a Christian for 60 years. Once I started researching it I found there are many things written about it on the internet but nothing in book form telling this story and giving the references in the Bible. I gave a presentation to the ministers in our Division and they liked it so much they wanted me to give them a copy of it. Out of about 30 or more pastors and their wives, only one woman had heard anything about this and when I talk to people about it very few know anything about it. I decided to write down what I had learned in a Children's book and help others to become acquainted with this wonderful story. This book puts the Gospel in an easy to understand way and can be used as a witnessing tool. There are two Hebrew words for "worm"
1. Hebrew word for worm #8438 "tola or crimson worm"
2. Hebrew word for worm # 7415 "maggot"
This is a prophecy of the Messiah and here we see that Jesus called Himself a "worm". In the Hebrew this is the "Tolah" worm or Crimson Worm; in Latin it is the "Coccus Illicus" that climbs into the Hermes Oak, and dies for its children; staining the tree red for three days. The word "finished" in the original Greek means "paid in full". "We owed a debt we could never pay" and Jesus "paid a debt He didn't owe" for us. Sin no longer has dominion over us if we accept His sacrifice for us, Rom. 6:14. 1. When there was a plague, scarlet was included in the purification of the house. And he shall cleanse the house with the blood of the bird, and with the running water, and with the living bird, and with the cedar wood, and with the hyssop, and with the scarlet. (Lev 14:52). 2. The scarlet worm was also used in the formula with the ashes of the red heifer. And the priest shall take cedar wood, and hyssop, and scarlet, and cast it into the midst of the burning of the heifer. (Num. 19:6) These ashes were used to cleanse a person when they came into contact with a dead body (a host for bacteria). This crimson, the worm coccus ilicis, was necessary to make one clean, which is symbolic of the blood of Jesus removing the sin of disease and death from us. "But he was wounded for our transgressions, he was bruised [crushed] for our iniquities: the chastisement of our peace was upon him; and with his stripes we are healed. 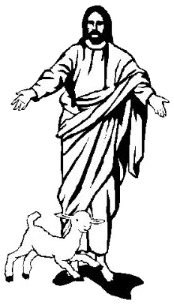 For if the blood of bulls and of goats, and the ashes of an heifer sprinkling the unclean, sanctifieth to the purifying of the flesh: How much more shall the blood of Christ, who through the eternal Spirit offered himself without spot to God, purge your conscience from dead works to serve the living God? (Is 53:5, Heb 9:13-14)." http://www.teachinstitute.org/wordpress/?p=1013. ﻿Get Your Copy of "The Crimson Worm" Today! 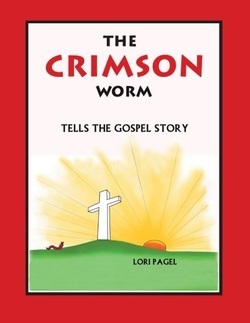 Get The Crimson Worm (written and illustrated by me, Lori Pagel) and read all through the Bible how God has woven a scarlet or Crimson thread using this remarkable little worm to tell the story of the cross with its life. **Order from this site & get a signed edition! How many of you have wished that you could read the whole Bible through but you start in Genesis and get to the genealogies and quit? I have a wonderful plan that helps you to read the whole Bible through in the easiest way possible. If you order through me, I will give you this Bible Reading Plan for free. *You do not need to have a PayPal account to use your credit or debit card. For U.S. Customers, click below! as well as a great witnessing tool. Thank you to Kim McDougal for helping me with my website design!